This traditional afternoon tea, in one of the capital’s premier hotels, is the epitome of refinement. While away the hours in the Polo Terrace dining room, and enjoy an assortment of sweet and savoury delights, accompanied by a chilled glass of bubbly. 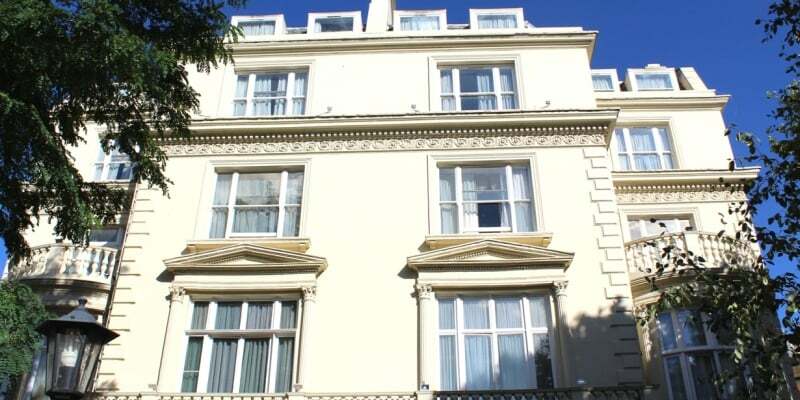 The Colonnade Hotel takes pride in its rich history. The building dates back to 1865, and was the birthplace of Alan Turing – the celebrated computer scientist, mathematician and WW2 code-breaker. Notable guests have included Sigmund Freud and John F. Kennedy, and the lift is reputed to be among the oldest operating in the country. Where better then to savour such a time-honoured British tradition? The afternoon tea menu has been carefully devised by the restaurant’s head and pastry chefs, and includes a selection of freshly-cut finger sandwiches, plain or raisin scones, and delicate summer cakes. Expect classic flavours, like lemony smoked salmon or raspberry macaroons, and – of course – generous helpings of Cornish clotted cream and strawberry jam. To drink, there’s a choice of fine teas to follow your fizz. The Luxury Afternoon Tea For Two At The Colonnade Hotel, London, is an exquisite way to celebrate any special occasion. An Experience Days gift voucher would brighten your loved one’s day. This experience is available throughout the year (subject to availability). Your Afternoon Tea will last around two hours. Participants: The Luxury Afternoon Tea For Two At The Colonnade Hotel, London is for 2 participants. This experience will not be affected by weather. I was given a gift voucher for my birthday for the luxury afternoon tea. I had a really lovely time and the food was delicious- especially the macaroon's! The room had only recently been refurbished and I liked the colourful design. I extremely enjoyed my afternoon tea, in the hotels newly refurbished restaurant. The yummy homemade cakes were my favourite! 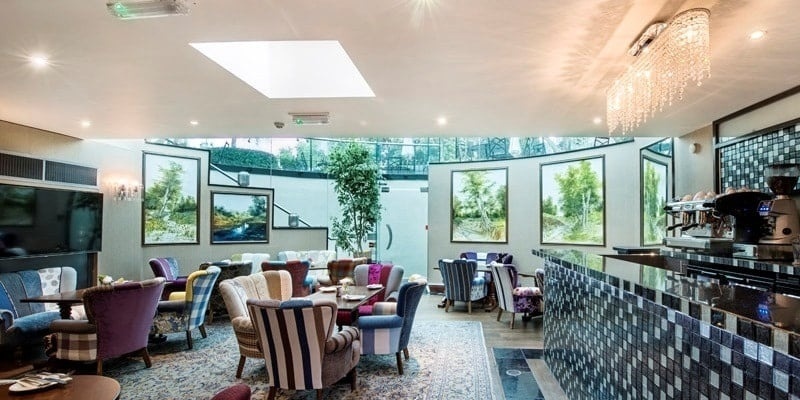 If you are looking for a superb afternoon tea gift voucher, then have a read of our staff visit and find out why we had a really lovely afternoon at the Colonnade Hotel in London and are seriously recommending you come for a visit. To get to our luxury afternoon tea at The Colonnade Hotel we decided it would be best to get the train, as when you walk out of Warwick Avenue you are only 2 minutes away. After being pleasantly greeted by the receptionist, we were directed through the beautiful outside seating area to go downstairs to the hotels restaurant, Banu. It was lovely to imagine during the summer days the outside seating area being filled with people enjoying their food in the sunshine. As we walked into the room we were welcomed by a very friendly member of the team, who asked where we would prefer to sit. 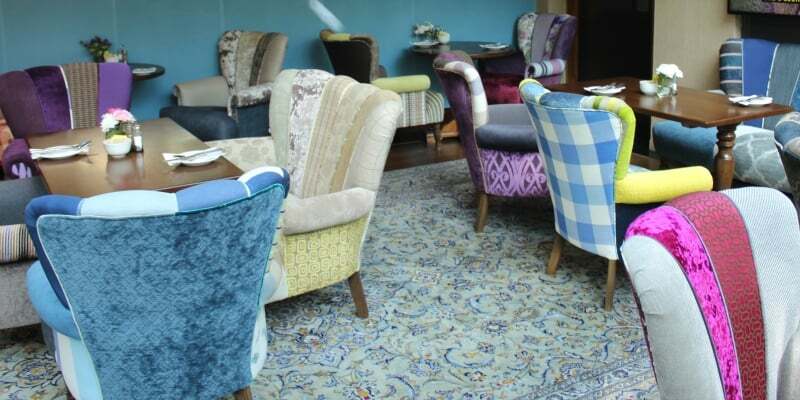 I was very impressed by the dining room that the hotels restaurant Banu offered, as it had both a formal sitting area and a more relaxed area – preferred for an afternoon tea. It was only three weeks since they’d refurbished the room and transformed it into a very colourful lounge, with more of a comfortable ambience. Our server was very quick bringing out our drinks and afternoon tea. Both Blossom and I got very excited when we saw the beautifully presented tiers arrive, with a great mixture of sandwiches including salmon and cucumber both with cream cheese and egg mayonnaise. Although the sandwiches selected were tasty, it was nice that you could request to have a different filling if you preferred something else. The cakes were definitely my favourite part as they were all handmade in the hotel’s kitchen, by their very own first class chef. We really were spoilt for choice with the selection of carrot cake, chocolate brownie, lemon drizzle, eclair and a raspberry macaroon. The scones were still warm when I went to add the cream and jam, which was lovely as I always enjoy them better when they have been warmed up. Overall, we had a really great time at the Colonnade Hotel’s luxury afternoon tea. During an afternoon tea I always want to be in a relaxed and comfortable room with genuine helpful and attentive service and the food be of a high quality. I definitely would agree that this is what I received throughout and I was very pleased by my entire experience. Thank you to The Colonnade Hotel for having us, it really was a lovely afternoon tea! For the Luxury Afternoon Tea For Two At The Colonnade Hotel do they cater for a gluten-free diet? 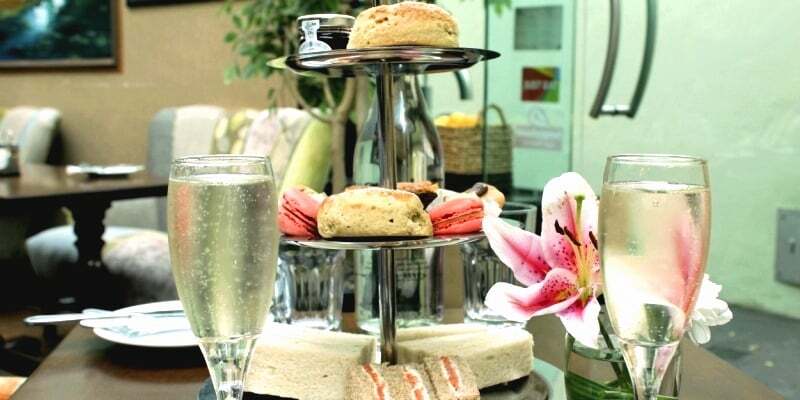 During the Luxury Afternoon Tea For Two At The Colonnade Hotel they don't cater for a gluten-free diet. However, we sell a lot of other afternoon tea experiences in London that do, so please check with our customer service team. 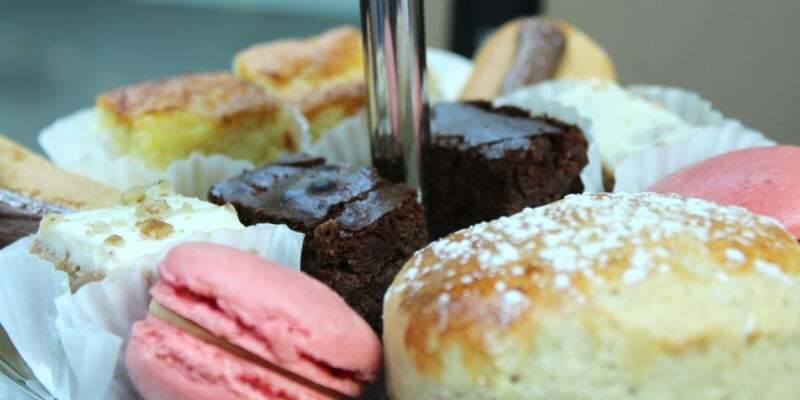 Is there the option for a dairy free afternoon tea and The Colonnade Hotel? Unfortunately The Colonnade Hotel afternoon tea for two cannot cater for those with a dairy intolerance.